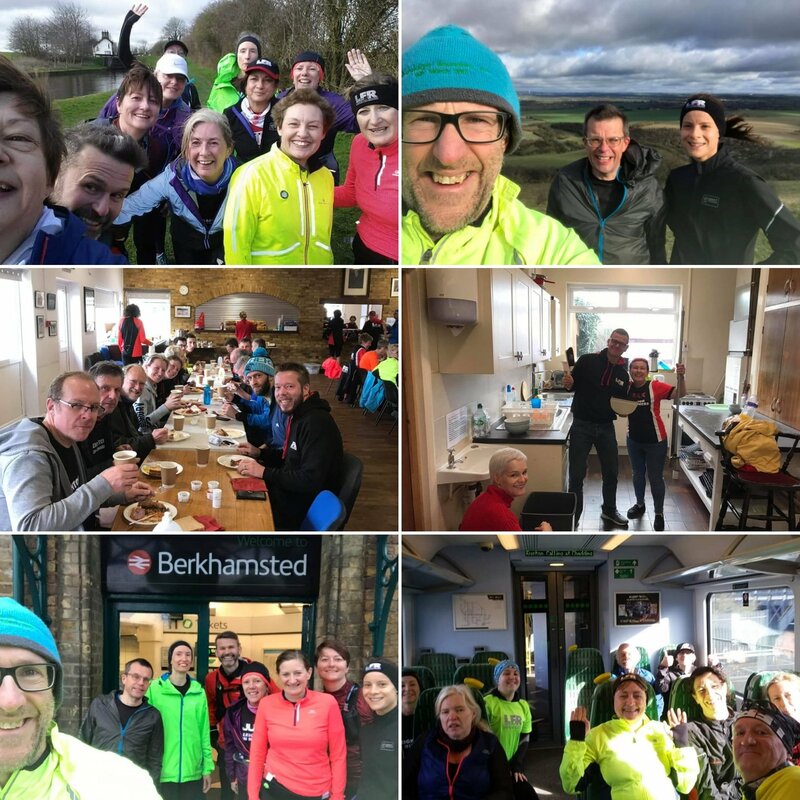 Leighton Fun Runners > Latest News > This is the week that…..started and ended with food! PANCAKES! 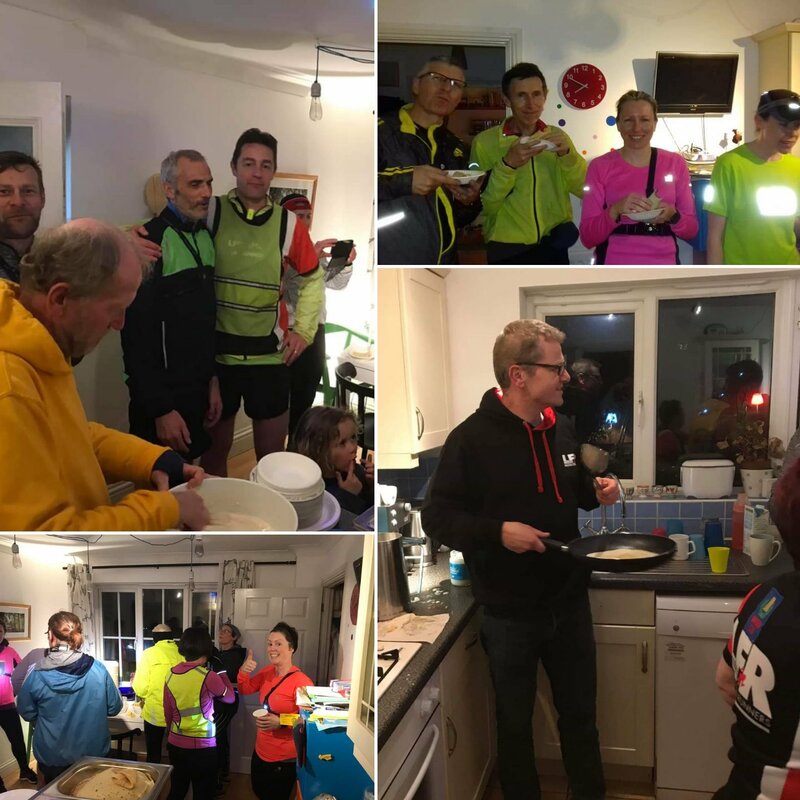 Yes it was the annual pancake run on Tuesday where we had our usual groups running and all passing by Captain Dan’s house for pancakes! No naked chef this year. Perhaps he’ll make a return next year… Kevin took on the Fartlek group on Wednesday to burn off the pancake calories from the day before. Andrew led another big crowd of Improvers on Thursday and Peter and the boys, plus Rachel, had a glorious morning run in the woods on Friday. 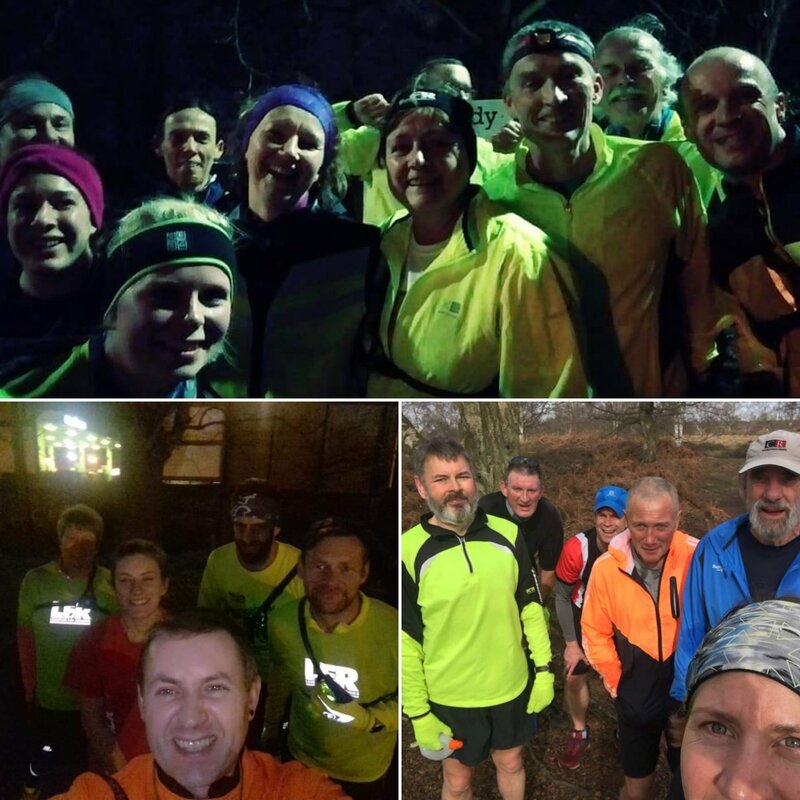 The weekend was again full of parkruns, events and racing, so hold on tight…. 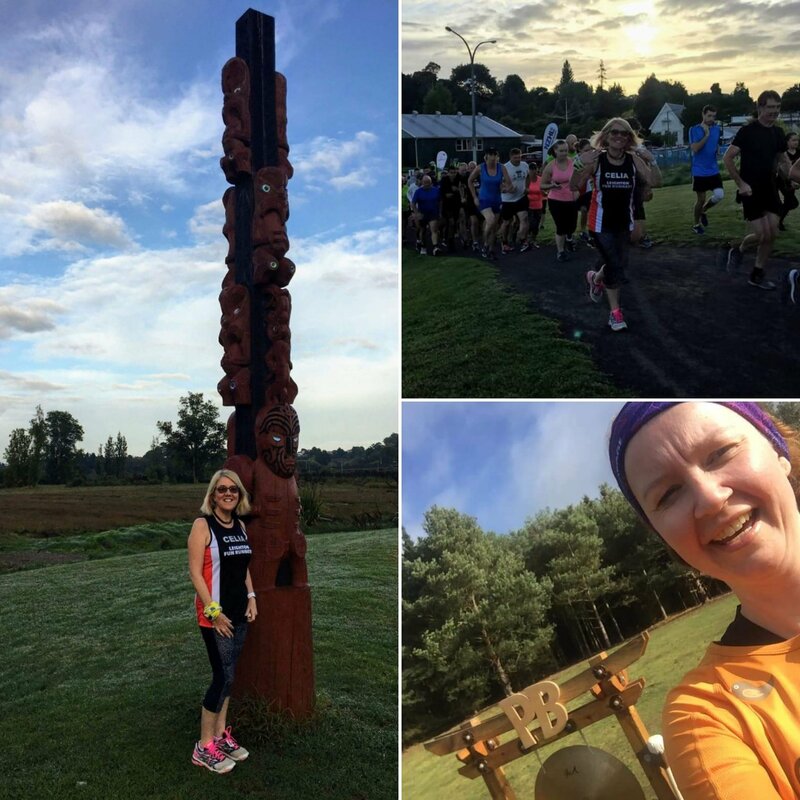 parkrun day saw LFRs at Heaton, Milton Keynes, Arrow Valley, Cannon Hill, Killerton, Winchester, Eastville (the second of the compass tour from Debbie, Carrie and Jon), Houghton Hall, Buckingham, Ellenbrook Fields, Great Denham, Wendover Woods, Dunstable Downs and Celia continuing her parkrun tour at the Tauranga parkrun in New Zealand! At home in Rushmere, LFR Julie was the first lady home and we had some fantastic PBs from Paul and Amanda. Great running! 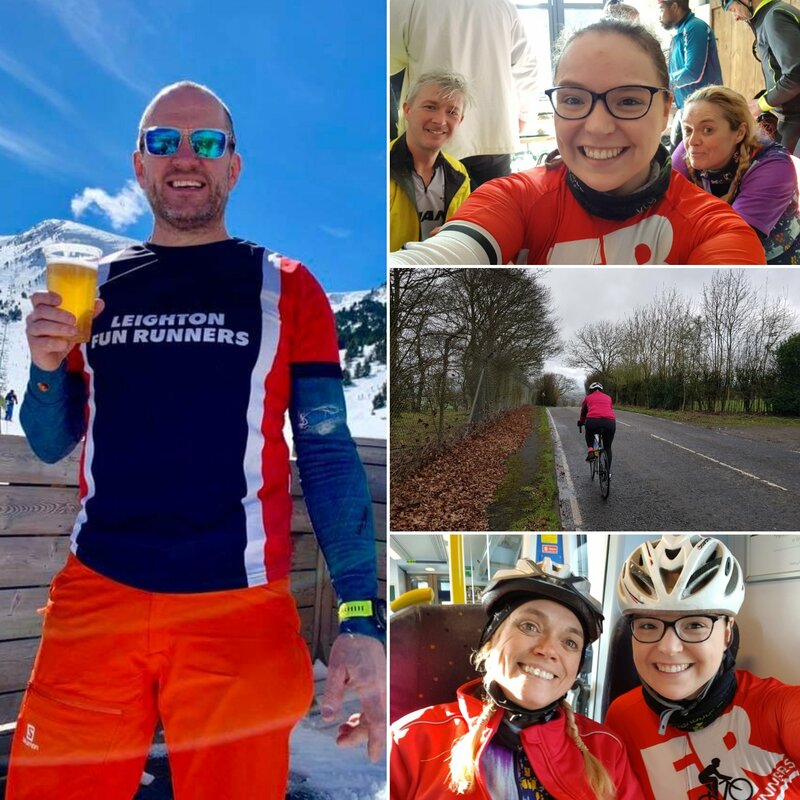 The LFR multisporters were sporting again with Jen, Ali, Paul and Verity at the Berkhamsted Spring Classic ride in Aldbury – a lovely, but windy cycle ride around the Chilterns followed (of course) by cake! And a new LFR sport….Mark was wearing the LFR colours on the ski slopes. Interesting ski equipment, Mark. Clare and Kirsty ran the Enigma 5K Dragon Race on Saturday. Kirsty followed this on Sunday with a 5K PB out on her solo run! 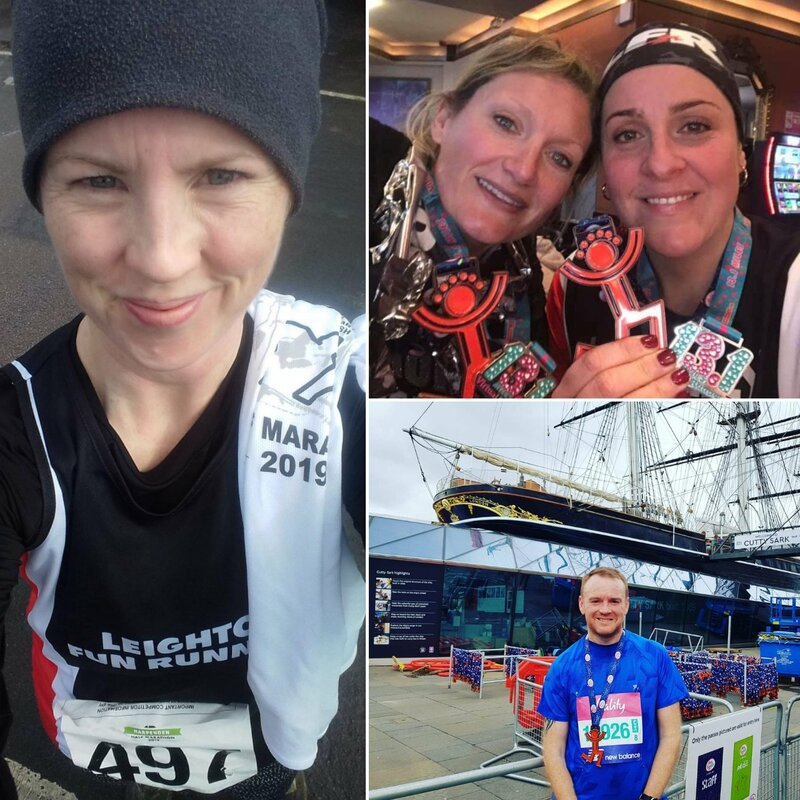 Nolan, Laura and Kelly were at London’s Big Half with Laura and Kelly running their first ever half marathon! (I don’t know how many Nolan has run…tell us, Nolan!) Kelly and Laura joined the club last year after completing the Winter Couch to 5K and just a year later they have completed their first half marathon! Great work, ladies! 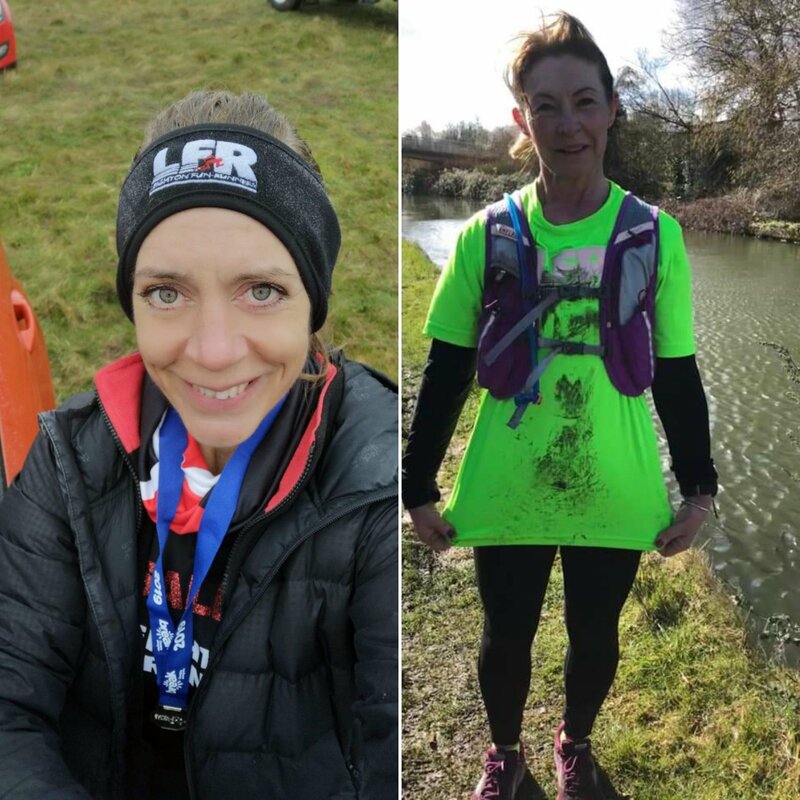 Also running her first ever half marathon this weekend was Katie at the Harpenden Half who was also running her first official race in an LFR vest! Gale force winds and mud throughout, but it’s done! Well done, Katie! Sally ran through lots of mud at the Hunny Bell Cross Country. Rob took on the muddy hills at the Wendover Woods Half Marathon. And in preparation for the breakfast run, Stephanie finally got herself muddy on a run along the canal (if you haven’t already heard, Stephanie doesn’t care for mud). The big event of the weekend was of course our first fundraising event of the year…LFR’s annual Breakfast Run! We had six groups running from three stations along the canal or cross country. Cold and windy in places, warm and muddy in others! All went really well and everyone returned to the clubhouse for their scrummy breakfast. Everyone had a brilliant time and for the first time most groups actually met on the canal and some even joined up to run back together. Wonderful! A huge thank you to the clubhouse breakfast team: Max, Jason, Jane, Chris, Jess and Fiona and huge thanks to the run leaders Gavin, Dave, Annis, Michelle, James and Captain Dan. Also a massive thank you to our train man, Graham, for arranging the train tickets with LNW. And fundraising? We raised about £300 in donations which will be added to the pot to for our charity donation next year. Thank you everyone who ran, donated, ate and had fun!